Singapore will hold a snap general election on September 11, 2015. Unlike Canada’s 78-days campaign period, Singapore only has nine short days. Described as a “watershed election,” this will be the country’s first election without its influential former leader, Lee Kuan Yew, who passed away in March this year. Lee’s elder son, current Prime Minister Lee Hsien Loong, in power since 2004, is seeking a mandate to tackle the growing problems of immigration, housing costs, transportation, and income gap. Despite the slowing economy and pressures for more opposition voices in Parliament, the ruling People’s Action Party (PAP) is expected to maintain its legislative supermajority against a weak opposition. Staking leadership renewal as the key priority, PM Lee Hsien Loong has described the coming election as critical as it decides the future leaders for Singapore over the next 50 years. The PAP is gunning for a big win. Humiliated by the loss of two cabinet ministers in the 2011 election, the PAP is doing all it can to maintain its hegemony and boost its record low 60.1% vote share during the last election. (See: Figure 1). While the PAP is assured of an electoral majority, it is unlikely to reclaim the seven seats lost to the opposition Workers’ Party (WP) –­ the most established and largest opposition party in Singapore. The PAP may gain a few percentage points in vote share because of the timing of the election, nationalist sentiment, policy responsiveness, media dominance and pre-electoral changes; however, it will be a struggle for the PAP to recapture the lost seats given the growing pro-opposition younger voters and more confident WP. Singapore has held 12 general elections since its separation from the Federation of Malaysia in 1965. One party, the PAP, has ruled uninterruptedly for the last five decades, dominating every legislative seat from 1965 to 1991. Thus far, only 12 different opposition politicians have been elected to Parliament. Singapore inherited the British single-member plurality electoral rule and used it from 1959 to 1987 to elect its members of parliament. In 1988, the government introduced the Group Representative Constituencies (GRC) scheme to guarantee the legislative representation of ethnic minorities, and changed its electoral system to a mix of single- and multi-member constituencies based on plurality party bloc vote rule. In a GRC, a voter will cast her vote for the entire team, which must have at least one ethnic minority candidate. Singapore’s political landscape has changed since 2011. With more relaxed media rules and a clamorous electorate, the opposition WP was able to break the PAP’s hegemony over the GRCs and win a five-member GRC for the first time in 2011. The WP now enjoys stronger support from working- and middle-class voters from the island’s Northeast and East regions. Having built a brand name and fielded highly-qualified candidates in recent elections, the WP had a total of nine seats in the last Parliament (five MPs in Aljunied GRC, two MPs in Hougang and Punggol East SMCs and two Non-Constituency Member of Parliament ). The smaller parties, such as the Singapore Democratic Party (SDP), National Solidarity Party (NSP), Reform Party (RP) and Singaporeans First (SF) are resource poor or suffer from leadership infighting and as a result have not been as successful as the WP at cracking the PAP’s political hold over the country. Timing. The timing of this election favours the PAP. Unlike the strong anti-PAP sentiments seen in the 2011 and 2012 general and by- elections, the conditions now are almost perfect for the ruling party. The national mourning over Lee Kuan Yew’s death in March and the year-long stirring of patriotism and nationalism following the successful hosting of the 28th Southeast Asian Games and Golden Jubilee celebrations have accentuated the PAP’s effective governance for the past 50 years. Weak opposition candidates and a lack of credible policy alternatives mean that swing voters are likely to stick with the PAP. The short, nine campaign days and pre-electoral changes also disadvantage the resource-poor opposition parties, which will have less time to find candidates to cultivate ties with new constituents. First, the government restricted its liberal immigration policy and slowed the inflow of immigrants. Mass protests over the government’s immigration policy have led to curbs in the number of permanent residencies (PRs) and new citizenships (SCs) granted since 2010. (See: Figure 3). Second, it also narrowed the growing income inequality problem by increasing social spending and offering more generous funding to health care. Singapore’s Gini Coefficient Index, which measures income inequality (before taxes and transfers), has dropped from a high of 0.478 in 2012 to 0.464 in 2014. By comparison, Canada’s Gini Co-efficient has been around 0.32 in the last decade. The Singapore Government Budget in March focused on lower income and senior citizens by introducing incentives and health-care benefits, such as the Pioneer Generation Package to Singaporeans born in 1949 or earlier. The previous backlog of housing demands for public flats was also cleared. Third, the government has attempted to show accountability for the mass rapid transit breakdowns and transportation disruptions with the resignation of Transport Minister Lui Tuck Yew from politics. Public transportation issues cause tensions in the land-scarce city-state. Mismanagement could raise electoral stakes given the widening gap between the rich and poor, and the fact that only 15% of the total population own their vehicles. As 2015 was the worst year for rail disruptions, the Minister’s expedient resignation effectively shields the PAP from opposition criticism prior to the campaign. Tame Mainstream Media. Media freedom has improved since the last election. Unlike in past elections, candidates from six parties were able to debate live on national TV on the cost of living, immigration and other policy issues. However, the PAP leaders still dominate the front pages of the government-controlled mainstream media. The Chinese newspaper Lianhe Zaobao published an alleged affair of WP candidate Daniel Goh, a sociologist at the National University of Singapore, based on an unverified poison pen letter to the media. The attempt at character assassination prior to nomination day was described as a “dark day in Singapore journalism.” Unlike in the past, opposition candidates can now turn to social media tools such as Facebook, Twitter and Instagram to reach out to voters and defend against negative campaigning. However, the PAP leaders are equally adept in mobilizing social media, even releasing a mobile application prior to the election for voters to navigate its candidates and constituencies. It even has an “Internet Brigade” that polices online dissent and creates Facebook groups such as “Silent No More” to defend the PAP’s policies in pro-opposition blogs and websites. New Candidates and Multi-Cornered Contests. The PAP revealed its slate of 22 new candidates over two weeks, building on the momentum and good will from the Golden Jubilee celebrations in mainstream media. As in the past, there was an average 25% turnover in the PAP’s total slate of candidates, which included the former Chief of Defence Force, a senior police officer, a high-flying civil servant, two doctors and two lawyers. The PAP only fielded a total of 20 (22.5%) women out of 89 candidates – far below the 30% voluntary quota that the party had aspired to comply with this election. However, it made the unprecedented move of fielding four women in single-member wards. The slates from the opposition parties are also male-dominated. Struggles to find candidates have led opposition parties to join forces in some multi-seat constituencies. Nonetheless, three-cornered battles in three single wards are likely to split pro-opposition votes and benefit the PAP. Pre-Electoral Manipulations and Gerrymandering. The Electoral Boundaries Review Committee, made up of five civil servants, redrew the electoral boundaries and changed the constituency sizes again this election. It reduced the sizes of some GRCs, except for two six-member constituencies held by Prime Minister Lee Hsien Loong (Ang Mo Kio) and Deputy Prime Minister Teo Chee Hean (Pasir Ris-Punggol). The larger GRCs are unpopular with voters as they are seen as unfair and undemocratic – allowing politically inexperienced rookies to get elected on the coattails of their heavyweight leaders. Opposition leaders and human rights groups have accused the PAP of gerrymandering and demanded more transparency in the boundary changes of constituencies. The clearest example of gerrymandering was the dissolution of the Joo Chiat single ward, which was fiercely contested in the 2011 election by the WP. Minority candidate requirements. There is a new requirement for all contesting ethnic minority candidates to produce an additional document to certify their ethnicity. This means that in addition to the Nomination Paper and Political Donation Certificate, the minority candidate will also have to produce a Certificate of the Malay Community Committee (MCC) or a Certificate of the Indian and Other Minority Communities Committee (IOMCC) to the Returning Officer on Nomination Day. It is an additional bureaucratic hurdle that disadvantages the opposition parties that already face difficulties attracting minority Malay candidates to contest in the GRCs (in 2011 election, a team of five opposition candidates was disqualified after submitting their nomination papers 35 seconds late after the 12pm deadline). Candidate’s Photo on Ballot. The photos of all candidates will be displayed on the ballot paper to make it easier for elderly voters to identify the candidates. The inclusion of photos on the ballot is expected to favour the incumbent party, as their candidates are more recognizable and are featured more regularly in mainstream media. Higher Expense Limit. The Parliamentary Election Expenses Limit was increased from S$3.50 to S$4.00 for every voter on the register of electors in the constituency. This means that the resource-rich PAP will have more money to spend on campaigning. New Election Advertising Rules. New limits have also been set on the number of posters and banners that can be displayed for each candidate in an electoral district. Opposition leaders say the rules are unclear, as they say nothing about mobile promotional advertisements on buses. The fact that the PAP has displayed PM Lee Hsien Loong’s poster in all the constituencies also appeared to give the PAP an unfair advantage. Stronger WP Challenge. The WP is the key opposition party to watch this election. It has been disciplined in standing candidates in strategic constituencies and adept in coining catchy campaign themes. In the 2011 election, the party’s manifesto, “First World Parliament,” persuaded 54% of voters in Aljunied to elect a five-member opposition team into Parliament. This election, the WP’s compelling slogan, “Empower your future,” is asking voters to elect at least 20 opposition members for a more effective opposition in Parliament. The huge crowd turnout at the WP rallies in the first three days of the campaign reflects growing empathy and interest for the opposition cause. The strong WP teams contesting in Aljunied, Marine Parade and East Coast GRCs mean that the PAP is likely to face stiff contests in these pro-opposition strongholds in the East and Northeast region. Younger, More Demanding Voters. Singapore’s voting age is 21. Given the expanding electorate due the city-state’s changing demography, parties have to appeal not only to the working class and senior citizens but also to the rising majority of younger, educated, middle-class voters. As Figure 4 shows, the total electorate increased to 2.4 million – a rise of about 110,720 voters from the 2,350,257 voters in the last election. For the first time, citizens born after the country’s independence in 1965 will account for the majority of voters. As of 2014, nearly 54% of citizens were born in 1965 and later, compared with 46% in 2010. Unlike the older generation born before independence, younger voters do not have the same reverence for the PAP government and want a greater opposition legislative presence than only 10% of seats. Surveys found younger voters to be less satisfied with public transport, population management and civil liberties. While they appreciate the PAP’s good economic governance, they are unhappy with the rising cost of living and an influx of foreign workers, especially from China. Canada and Singapore maintain a good economic and security relationship. As a main gateway to Asia, Singapore is an important trade partner for Canada and pivotal for Canada’s Asia-Pacific Gateway Corridor Initiative. Both countries participate in multilateral forums such as Asia-Pacific Economic Cooperation (APEC), the World Trade Organization (WTO), the Commonwealth, and through the Association of Southeast Asian Nations (ASEAN), the ASEAN Regional Forum (ARF), the Shangri-La Dialogue, and the Arctic Council. Both countries also co-operate in security areas such as pilot training, maritime security, non-proliferation of weapons of mass destruction, and counter-terrorism. As Canada’s third largest export market in ASEAN, Singapore is also a member of the Trans-Pacific Partnership (TPP) free trade negotiations, which Canada joined in 2012. With the PAP poised to govern after the elections, Canada-Singapore economic and security relations are likely to remain status quo. This election is not about changing government in Singapore. Rather it is about ensuring the PAP’s leadership renewal and easing social tensions by offering the disgruntled masses a controlled safety valve to release pent-up unhappiness. Despite the growing vociferous electorate and demands for more opposition presence in Parliament, the PAP is poised to win and maintain its electoral hegemony. What matters now is its margin of victory and whether it will be enough to strengthen its mandate to rule for the next five years. 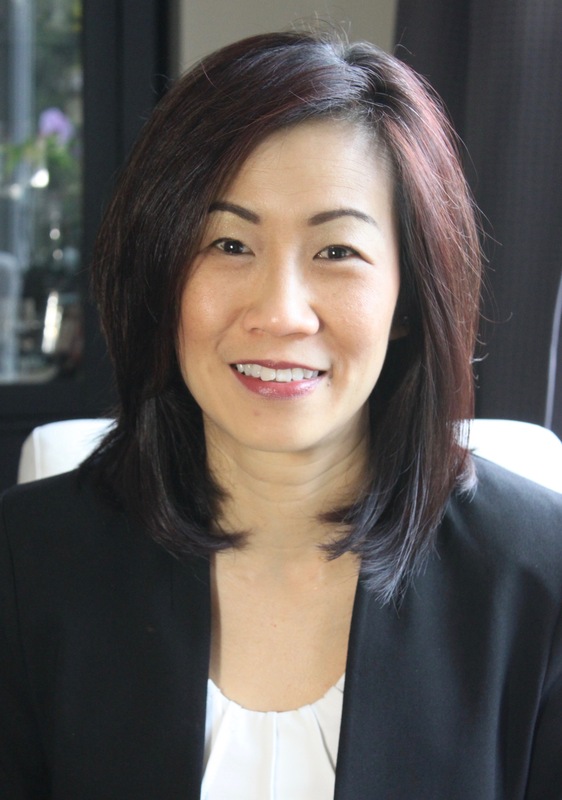 Netina Tan is an assistant professor in McMaster University’s Department of Political Science. Her dissertation, “Access to Power: Hegemonic Party Rule in Singapore and Taiwan,” completed at the University of British Columbia, received the 2011 Vincent Lemieux Prize for the best PhD thesis submitted at a Canadian institution. Her research on democratization, electoral and party politics, and gender issues in East and Southeast Asia have appeared in Electoral Studies, International Political Science Review, Politics and Gender, and other book volumes. Under Singapore’s election laws, campaigning can last for 55 days, with the minimum being nine days. Formal campaigning — with rallies, house visits, walkabouts, will take place between 1 and 9 Sep. There will be a “Cooling-off Day” on 10 Sep, followed by Polling Day on 11 Sep. In 1984, two opposition politicians won for the first time, out of 74 seats. In 1991, the opposition won four out of 81 seats and only secured two in the subsequent 1997, 2001 and 2006 elections. A NCMP is the best performing losing opposition candidate with the highest percentage of votes during a general election who is offered a seat in Parliament. Up to a maximum of nine NCMPs may be appointed in each Parliament. Singapore’s population growth rate doubled from 1.7 to 3.5 between 2005 and 2010 to 1.3 in 2014. Between 2000 and 2010, the population change per year (population increment over the period) jumped from 69,000 to 164,000. There are now 13 SMCs and six GRCs with four Members of Parliament (MPs), eight five-MP GRCs and two six-member GRCs. Local human rights group Maruah has called for more transparency and accountability by the Electoral Boundary Committee to review electoral boundaries. They argue for more technical experts such as statisticians and more independent decision-making process. Joo Chiat is now absorbed into a larger Marine Parade GRC, led by former PM Goh Chok Tong. Two new GRCs (Jalan Besar and Marsiling-Yew Tee) and three new SMCs (Bukit Batok, Fengshan and MacPherson) have been created. Candidates who secured less than 12.5% of the valid votes in their constituency will forfeit their deposits. Only opposition candidates have lost their deposits in the last 11 elections.